“Greetings.Is there a magical way to convert ARF video files hat WebEx uses to MP4 or WMV or Quicktime that WebEx uses.Many thanks.”. Before you can open, play or convert ARF file, you’ll need to figure out what kind of file the ARF file extension refers to. ARF is a file extension for a WebEx advanced recording file from a network-based recording. WebEx is Cisco’s Web conferencing program, bet you must have heard it before, which releases millions of people from traditional conference. If you want to share the recorded meeting video with your colleagues, you might find it can’t be simply played on any common media player (as they come in ARF format). If you have a frequent demand for online meeting/training, web conferencing or video conferencing, Cisco WebEx product should not be a stranger to you. After you record the whole meeting content, the recording will be stored in WebEx’s cloud server automatically. And it will be saved as an .arf file (WebEx Advanced Recording File) you download it from WebEx to your PC. However, ARF is a proprietary format of WebEx which means ARF file is not compatible with other media players, editing software, applications or devices and can only be played by WebEx ARF Player. Due to the special property of ARF file, you may want to convert ARF file to those common video or audio formats like MP4, WMV, AVI, MOV, MPG, VOB, MKV, MP3, etc for freely playback, video editing, or other various usage. So the following article will introduce how to easily open and play ARF files or convert ARF file to MP4, AVI, MOV, WMV, MPG, MP3, WAV, OGG, etc on Windows or Mac. 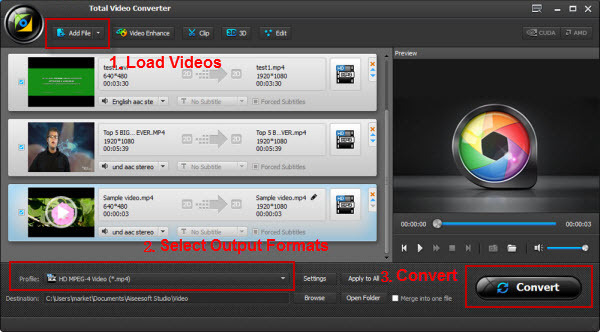 UFUShare recomended Total Video Converter for Windows or Mac is the professional ARF File Converter and ARF File Player, can help convert ARF files format to almost all the video and audio formats like MP4, AVI, WMV, MOV, VOB, MPEG, FLV, MKV, MP3, WAV, WMA, FLAC, etc on Windows and Mac with 30X fast speed and HD video quality. Besides, the nice ARF Video Converter is a wonderful ARF File Player that enables to freely play ARF files without time and device limitation. The outstanding ARF File Converter is a specially designed video editor. It can join ARF files together, cut off the unwanted ARF files, split ARF files, crop ARF files, adjust ARF screen, add or remove watermark, add subtitles to ARF files or remove subtitles to ARF files, increase ARF file quality, increase ARF sound volume, adjust ARF video or audio channel or codec, rotate ARF files, compress ARF files and more. Step 1: Download the ARF Converter, install and launch it. Click on “Add Files” to import saved ARF file into the program, or just a simple drag-and-drop. It will automatically analyze and list the source file size , format, resolution, duration, etc. Click the “Profile” drop-down button to select MP4 from the “General Video” category. 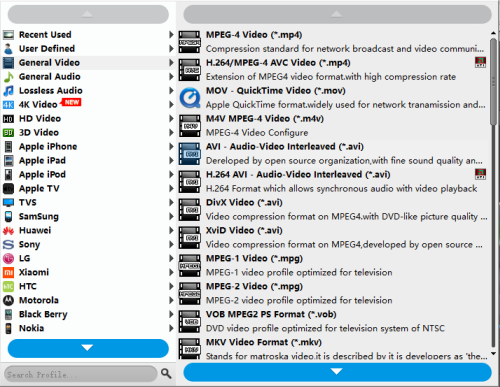 To convert ARF to MP3, choose “MP3- MPEG Layer-3 Audio(*.mp3)” as output video format from “General Audio” Category. Optional: Edit the videos before the conversion. Along with the conversion, the facility also offers and editing tool allowing you to tweak your file with effects, color transitions, add subtitles and filters. The editing tool is easy to use and can be operated upon by anyone. After selecting the format, click on the Convert button on the bottom right corner. This initiates the conversion of your file. After the conversion is complete, the file would be saved to the folder location. There is also a free way to convert ARF to MP4/WMV, you can check it. After downloading the WebEx recorded ARF files to your computer, you can launch WebEx Network Recording Player (Log in WebEx account, find your “Updates”, choose one recording and click it, click the Play button on the right window to play ARF video. If it is the first time you ran WebEx ARF player, it will remind you to download the ARF player.). You should be informed that only Windows computer enables you to use its video converter, and Mac is rejected. Click “File” > “Open” to import your ARF file in Network Recording Player. It cannot batch load ARF file or batch converting ARF files to MP4. 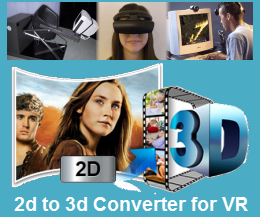 Click “File” > “Convert Format” > Here you are given three optional formats, WMV, SWF and MP4 for reference, choose one format, and set its saved location, video quality, to convert ARF files now or at a scheduled time as you like. The ARF to MP4/WMV converting time depends on the original recording size and internet connection. You just need patiently to find the converted MP4/WMV file. WebEx Network Recording Player only recognizes its ARF or WRF file, if you have the need to convert your video to HD MP4, 4K MP4 and convert ARF to MP3, or WMV to MP4/MP3, for playing on more portable devices, you need to convert your video twice with a third-party converting tool after using WebEx Player to convert ARF to WMV, SWF and MP4. How to Get Deleted Text Messages Back from Samsung Galaxy J7 Max?